On this page we will give you a daily logging of our mission. 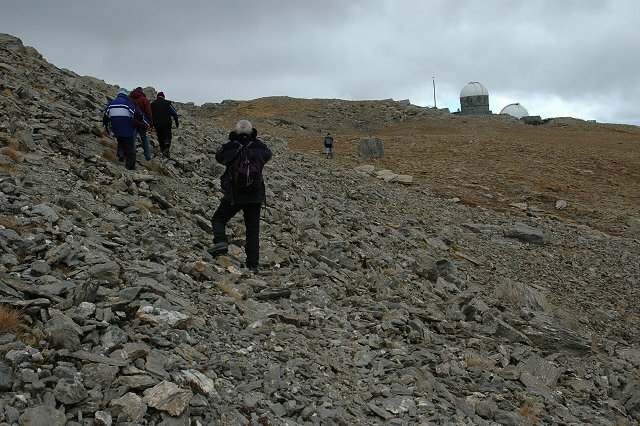 The last days before our departure to the observatory of Saint-Véran. We have to gather all the material needed for the mission : software, observation data, most recent ephemerides for currently active comets and astronomical data on supernovae, and of course our clothes and the food. After a full-day trip, we arrived at the observatory. A friendly reception by the previous Nancy-team, including a nice glass of Champagne! The weather is at this moment not very good. A lot of wind and a cloudy sky. We will go soon to bed to have a good rest. We will need it for the next days. After a day with a lot of clouds and strong wind, we are surprised to see the sky clearing up after sunset. The transparency was good, the milky way from horizon to horizon, with a wealth of details, certainly in the Scutum, Cygnus, Casseopeia region. 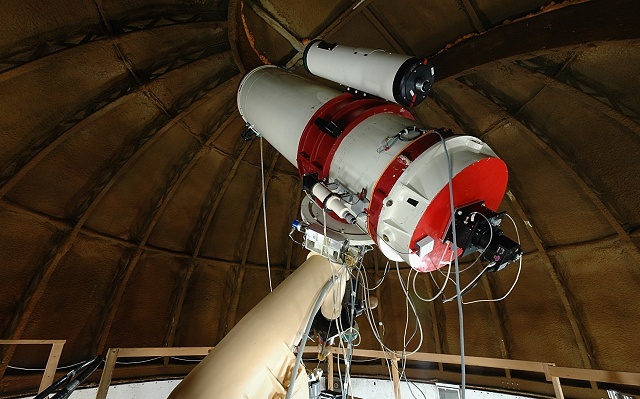 Due to a technical problem, we cannot use the ST8ex CCD camera. The first part of the night, we spend on visual observing. After midnight, we installed the older HiSyS-22 camera on the 5x reducer. Some upcoming humidity makes that we have to stop further observations. 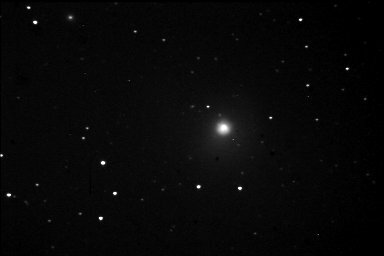 We could made an image of the comet 29P Schwassmann-Wachmann. 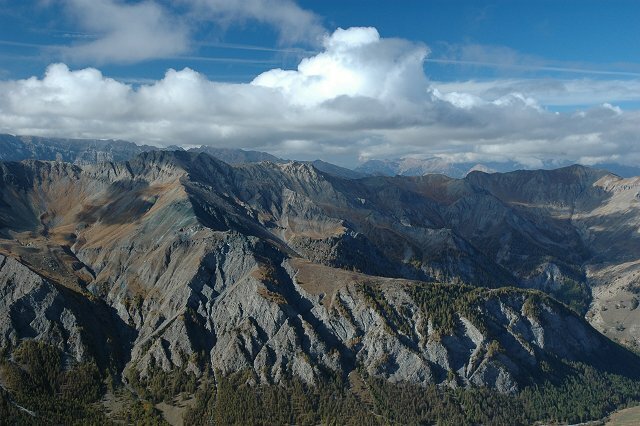 We spend our day with photographing the splendid environment. The night : bad weather, cloudy sky, no observations! The day starts again with a nice view over the mountains. We fill the afternoon with a small walk. The story continues. Cloudy sky, no observations! 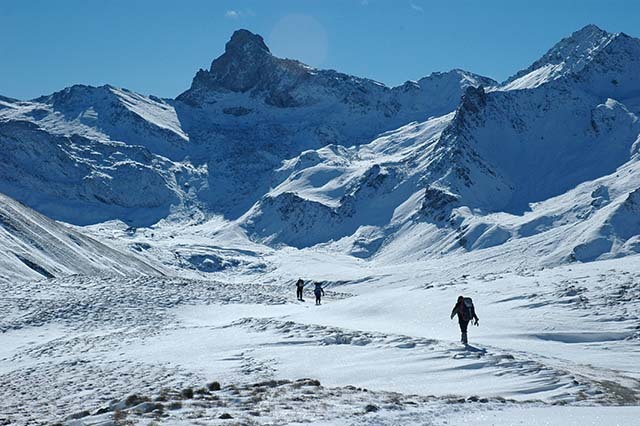 The winter enters the Queyras region. 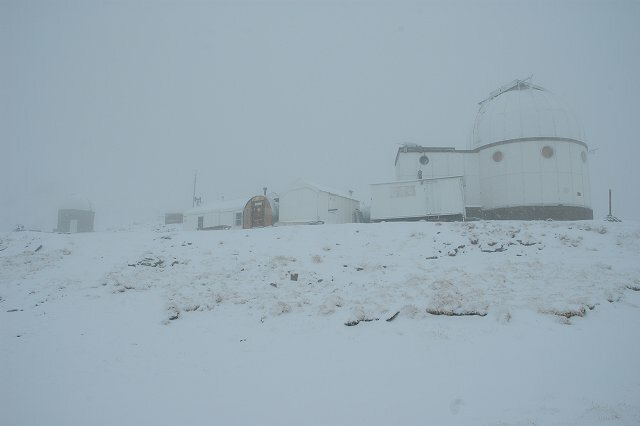 At the end of the day, we have 5 centimeters of snow at the observatory. This morning we are in a snow storm. We decide to end our mission today. We have made a walk to the car to bring over the main part of our material. We start the procedure to close the observatory for the winter. 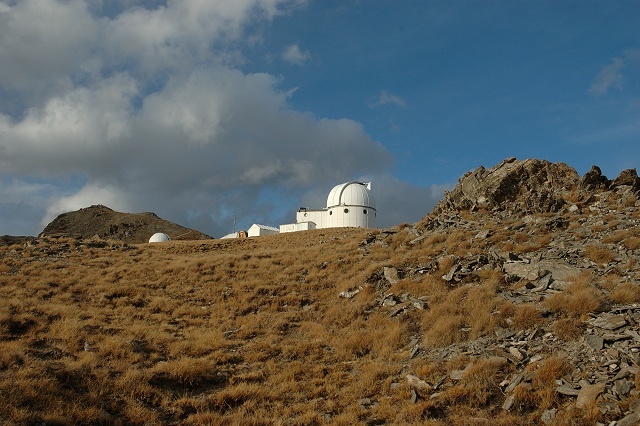 Tomorrow, we will close the observatory, go down to the Saint Veran village and then drive back to Belgium. to find our cars at an altitude of 2650m below in the snow. We had to remove some snow on our way back to the Saint Veran village. From there, 1100km farther, our mission 2004 ends.